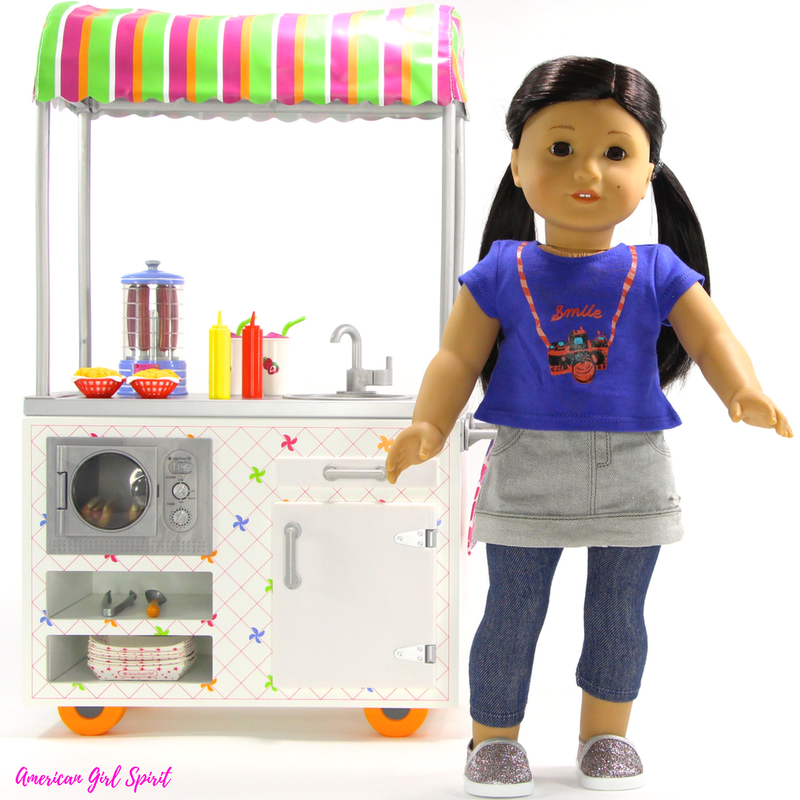 Opening and reviewing American Girl's Campus Snack Cart. My AG doll Z Yang is so excited as she is the owner of the NEW Campus Snack Cart. 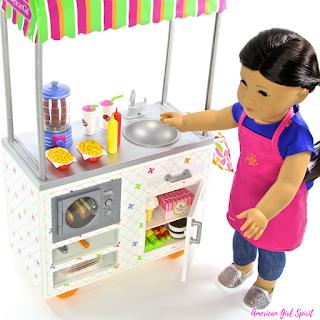 She will be getting it ready to sell snacks in the park. This is really an excellent product for imaginative play with your doll. I hope you enjoy this video and let me know what you think of the Campus Snack Cart in the comments below and stay tuned for more of our summer time fun series. 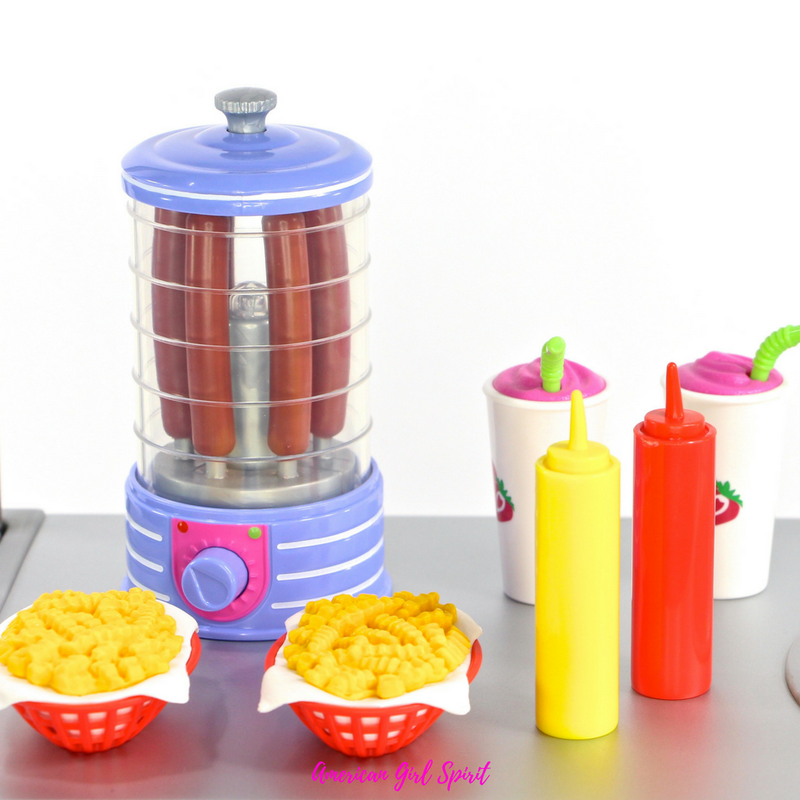 This cart has lots of yummy snacks, hotdogs anyone?